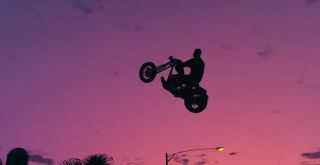 The retro-flavored electronica band Gunship has, presumably with one eye on the vast gaming community and sites like ours, decided to use the Grand Theft Auto 5 video editor to create the video for The Mountain, the second single from its forthcoming self-titled album. Silly or not, the power of the editor is undeniably impressive. And if you dig the tune, you can dig more of the group's music at gunshipmusic.com.